In this week’s edition of Maverick Spotlight, the inSIDER features Jordan Hart. Hart is a Senior on the MSU Baseball team. 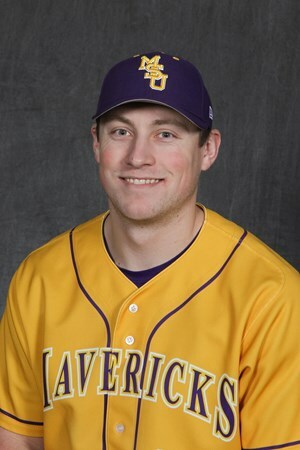 The Lyle, Minn., native appeared in 27 games (25 starts) hit .370 with a .407 on-base percentage, .660 slugging percentage, 37 hits, two triples, four doubles, seven home runs, six walks, 19 runs scored and 31 RBI in 2018 and his 25 career home runs are the fifth most in program history. Let’s get to know Jordan better. Lose my mind due to interaction with others. Not studied for a test and got a 98% on it. Getting good grades in college. My dad, because he is my biggest fan not only for sports but for life. Probably fly, because then getting around would be a lot faster. I like being a part of the baseball team. The last 4 years, I got to connect with people of the team and made new friends. Without being on the team, I don’t think I would have had as much fun at MSU. Thank you to Jordan for answering these questions. If you are an athlete or know an athlete who should be in the Athlete Spotlight, please send an email to Alexander.baumann@mnsu.edu. 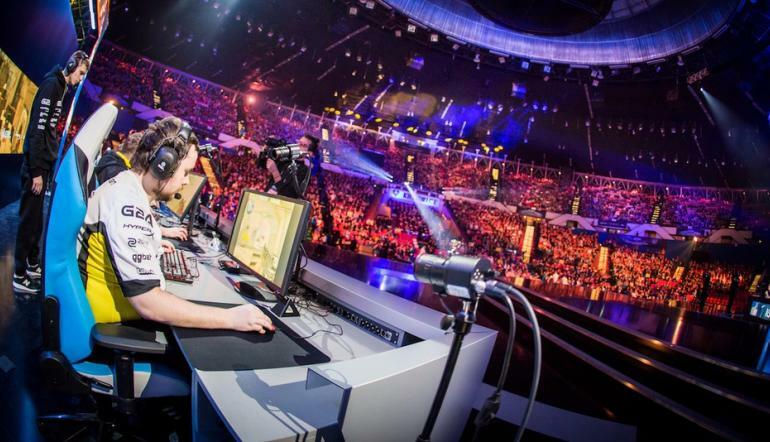 eSports – short for electronic gaming sports – is now a global phenomenon. 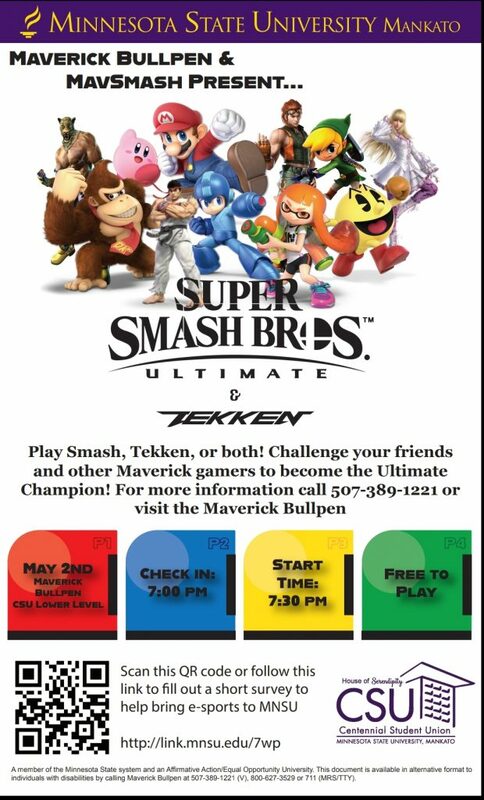 Even college campuses are getting on the eSports bandwagon. More than 50 colleges have varsity eSports programs, recognized by a governing body called the National Association of Collegiate Esports. NACE championships dole out thousands of dollars in prize money, which is put towards scholarships for the winners. To read about what that might mean specifically to MSU, click here to for the related story by CSU Public Relations Assistant, Brett Marshall. 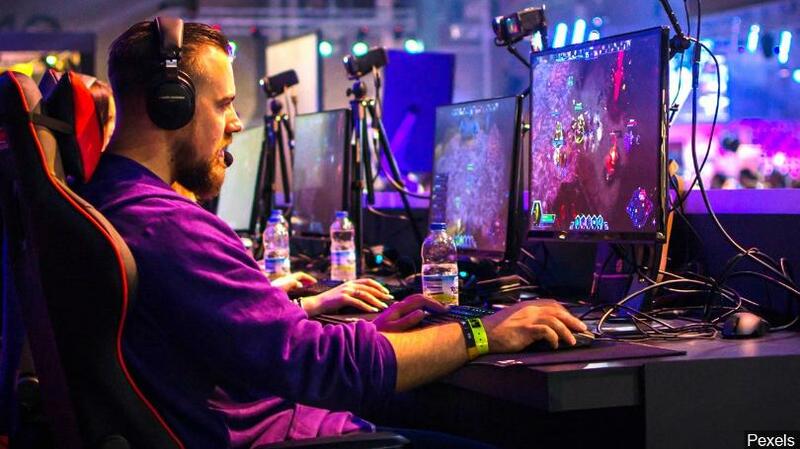 Gaming tournaments around the world have brought hundreds of thousands of people to enjoy and compete in the growing platform that is eSports. 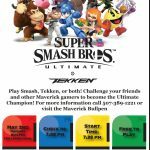 These organized video gaming events draw competitors from different leagues or teams who face off in the same games that are popular with at-home gamers: Fortnight, League of Legends, Counter-Strike, Call of Duty, Overwatch and Madden NFL, to name a few. These gamers are watched and followed by millions of fans all over the world, who attend live events or tune in on TV or online. Streaming services like Twitch allow viewers to watch as their favorite gamers play in real time, and this is typically where popular gamers build up their fandoms. One of the most popular eSport games, League of Legends, had over 60 million tune into its Finals in 2017. Even the NBA has partnered with the makers of the NBA 2K video game to create the NBA2K League, an eSports league dedicated to NBA gaming. 380 million people worldwide will watch eSports this year, including 165 million eSports enthusiasts (a term that describes frequent viewers, as opposed to occasional viewers). The bulk of these enthusiasts watch from North America, China and South Korea. eSports are growing at a rapid pace with more and more people getting involved with it by the year. It should be interesting to see what the future of this growing industry will be to say the least. Slow Walkers: Get Out Of Monika Ryan’s Way! In this week’s edition of Maverick Spotlight the inSIDER features Monika Ryan. Ryan is a Junior on the MSU Tennis team. The Las Vegas, Nev. native Went 5-11 in singles matches, including a 5-10 record in No. 2 singles match, went 5-12 in No. 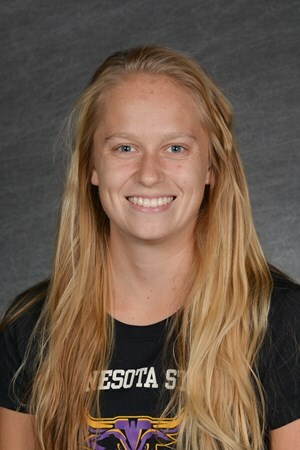 1 doubles matches with her teammate Erin Streeter in the 2017-18 season. Let’s get to know Monika a little better. I like how close knit and nice everybody is, I don’t have that from my home town, Vegas. ”ALLLIANZ FIELD, St. Paul, Minn.
On Sat. Apr. 13, the MNUFC Major League Soccer team in Minnesota, kicked open its new stadium, Allianz Field. This was a dream made reality by many people, both those who work for the team and supporters of it. 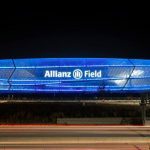 So how exactly did Allianz Field become a reality? This project can be traced back to 2015 when Minnesota United was awarded an expansion spot in Major League Soccer. Shortly after, the team announced it’s intention to build a state of the art soccer stadium in St. Paul at the center of downtown Minneapolis and St. Paul. Construction of the stadium was expected to begin in the summer of 2016 with United joining MLS in 2017. MN United played at TCF Bank Stadium on the University of Minnesota campus until moving into their brand new home. Allianz Field seats up to 19,400 people and has 1.9 million people within 30 miles of the stadium with many more around the midwest this facility will be available to. MSU student Frida Farstad Erikkson, who is from Sweden and a lifelong soccer player says, “I hope it will bring more people to games. 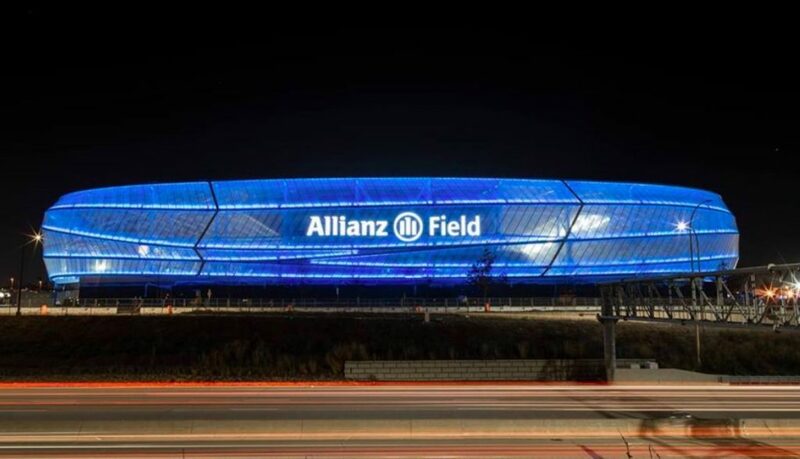 I am all for soccer growing,” regarding the opening of Allianz Field. “I would love to go to the game on April 24th when they are playing LA galaxy. I want to see Zlatan,” Errikson said, when considering which game(s) she would like to attend. In front of a sold-out crowd, MN United and New York City FC played to a 3-3 tie. Their next home game is April 24 at 7 PM vs. the Los Angeles Galaxy. eSports gaming is rising faster than ever before, and Spencer Good, a junior at Minnesota State University, Mankato, is looking to make his mark in a game called Rocket League. Good began playing Rocket League, a game he described simply as “rocket powered cars playing soccer,” on his XBOX five years ago while attending Mankato West High School. He originally picked up the game casually to play with friends. The rush he got from playing was similar to the nerves and excitement he got from playing lacrosse and ever since he’s developed a big passion for the game. 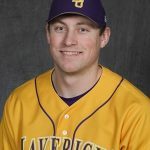 Spencer Good, a junior in MSU’s Accounting program is a top 10 ranked Rocket League player in Minnesota. “It’s helped me find a healthy gaming community. I’ve met and connected with people I never would have if not for Rocket League. There’s been so many times when someone has told me their friends play Rocket League and we end up playing with one another down the road and becoming friends,” Good said. After years of playing Rocket League with his friends, Good has developed serious skill. In March, he rose to a top 10 player in the state of Minnesota and to the top 1 percent of Rocket League players internationally which means among the 50 million players worldwide, he’s one of the top 500,000 players. He credits his rapid growth to active learning within the game and a mindset focused on skill development and not just winning. Despite these achievements, Good remains humble. “Honestly I still don’t think I’m very good at the game. There are so many weird and complex mechanics I still have to master and practice. So to me, it’s easy to see where I can still get better,” he said. Good hopes to help grow Rocket League at Minnesota State Mankato by forming team, which could eventually receive support from the university. The team would compete in the College Rocket League (CRL), which features university teams from across the country. Most of the matches are streamed on Twitch and YouTube and often generating hundreds of thousands of views. Good has also been asked to join a competitive team out of Eastern Connecticut University. Good says school remains his top priority as he’s pursuing a degree in accounting, but hopes he can continue to hone his skills. Good encourages anyone who’s passionate about eSports to dive in and go for it. He said the best way to start is to do it with friends. He also recommends playing the underdog as the key to success. If you’re interested in becoming a part of MSU’s Rocket League team or want some tips and tricks to improve at Rocket League, Good said he’d love to help. 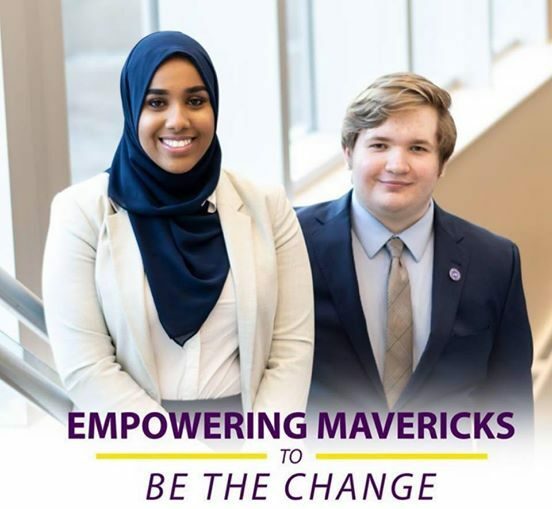 Passing by a 16-vote margin, students Tuesday supported a 4.9 percent increase to the Student Activity Fee in a Student Government ballot that included selection of Anisa Omar and Andrew Trenne with Empowering Mavericks as the incoming president and vice president. 2019-20 Student Government President Anisa Omar and Vice President Andrew Trenne. Voter results for the referendum were 715 votes for the fee amendment and 699 opposed. The passed amendment increases average student fees from $8.36 to $8.77 per credit hour effective in Fall 2019. 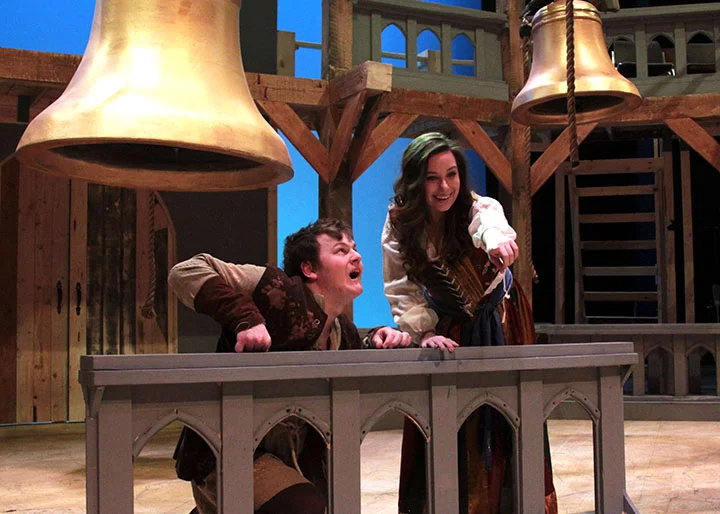 Student Activity Fees support a range of programs including busing, student activities, theater and dance, multicultural student activities, and international student activities. 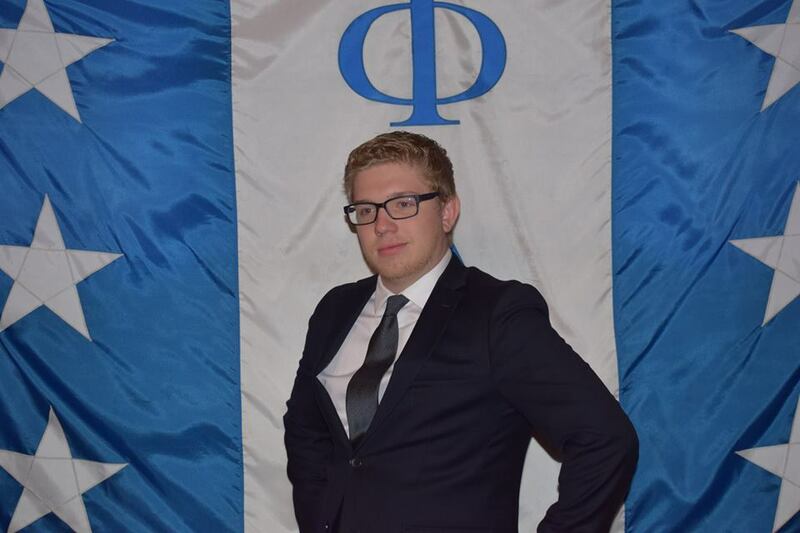 By more than twice the combined votes for the remaining two candidate tickets, Omar and Trenne received 1,044 votes to assume Student Government leadership for the 2019-2020 academic year. Other candidates on the ballot included Kayla Erickson/Logan Dahlk with Maverick: United As One, and write-in candidates Lindsey Leonard/Nick Krekelberg. The Empowering Mavericks ticket had candidates in most senate races and all but swept the election. Elijah Calderon-Pitchford with Mavericks: United As One was named to one of two senator spots for the College of Allied Health and Nursing. 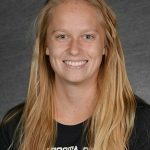 Julia Nellis with Mavericks: United As One was named to an Off-campus Residents seat. Alejandra Bejarano was elected by write-in ballot for College of Graduate Studies. Appointed requires candidate’s acceptance. Inauguration for Omar, Trennen and the 87th Student Government Senate is set for Wednesday, April 17, at 5 p.m. in the CSU Hearth Lounge.